less fortunate children of the Philippines with cleft lip and palate deformities. 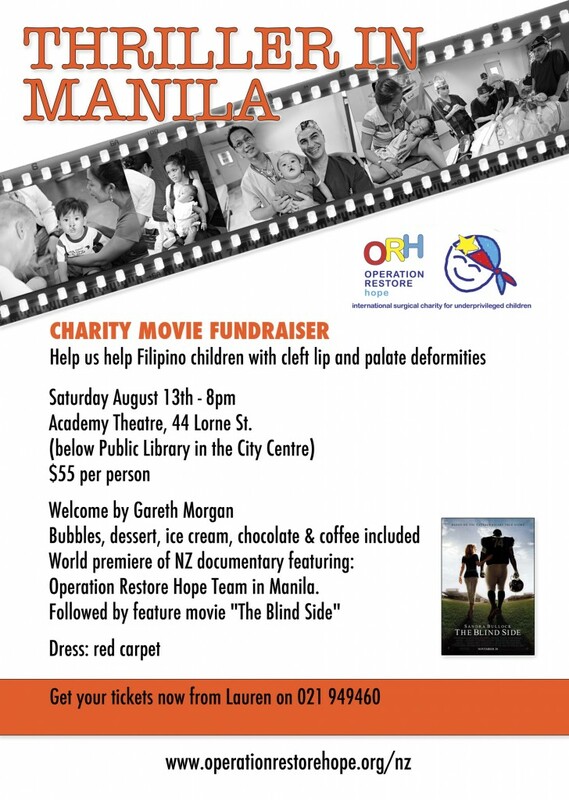 Tristan de Chalain, a Plastic Surgeon formerly with the Auckland Cleft Team, works with Operation Restore Hope & is helping to organise a charity movie fundraiser. Details are as per the attached poster. you’re keen to help them raise some money, see a great movie & have a fun night out the please RSVP to Lauren on 021 949 460. Thanks for your support.